Schnabel doesn't like any of the 36 Van Gogh movies that came before, and more in our exclusive interview with the acclaimed painter-turned-filmmaker. If anyone can show us something we haven’t seen before about Dutch painter Vincent Van Gogh, it’s Oscar-nominated painter-filmmaker Julian Schnabel, who announced at Cannes that he will direct “At Eternity’s Gate” starring Willem Dafoe (who also stars in Director’s Fortnight entry “The Florida Project”) as the world’s most acclaimed Post-Impressionist painter, who died at age 37 before he was recognized for his gifts. Produced by Schnabel’s long-time producer Jon Kilik (“The Hunger Games” franchise, “Babel”), CAA is selling U.S. rights and Rocket Science is handling international. Schnabel developed and wrote the screenplay with famed French screenwriter Jean-Claude Carrière (“The Discreet Charm of the Bourgeoisie”). The film will adopt a first-person point of view, as the isolated Van Gogh wanders the countryside, wishing a few people would commune with him like a normal person. Schnabel wanted to shoot the movie in Arles, France, for Dafoe to walk with a camera in his hands and see his feet walking through the landscape. They will shoot on location in Arles and Auvers-sur-Oise, where Van Gogh lived and painted at the end of his too-short life. 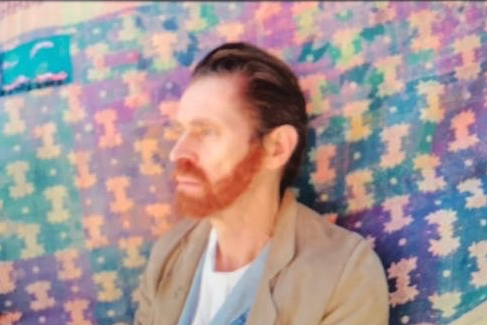 Schnabel took a photo of Dafoe as Van Gogh after an hour messing around with hair and makeup. The resemblance is uncanny. Casting the rest of the ensemble is under way. Van Gogh is not a fresh film subject. No less than 36 films have addressed artist and his life, from Vincente Minnelli’s Oscar-winner “Lust for Life” starring Kirk Douglas and Anthony Quinn, to Robert Altman’s “Vincent and Theo” starring Tim Roth and Paul Rhys. Schnabel doesn’t like any of them. At 65, Schnabel has been enjoying the art-world limelight of late, with a retrospective at the Aspen Art Museum and a solo show in February at the Pace Gallery in New York. However, the greatest attention he’s received in the last three decades stems from his work as a director of films like “Basquiat,” “The Diving Bell and the Butterfly,” and “Before Night Falls,” all of which received critical acclaim if not awards. He received best director for “The Diving Bell and the Butterfly” at the 2007 Cannes Film Festival, and the film won a Best Director Golden Globe in 2008.